The Leather Lens Case in Apache Brown from Kelly Moore will allow you to elegantly carry a 9" Lens or other item. 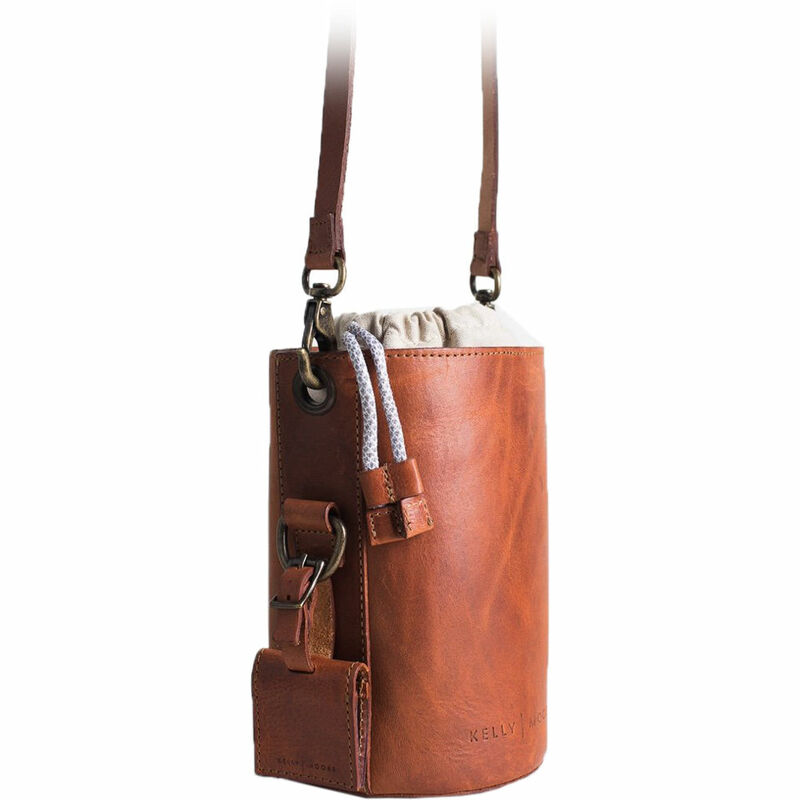 It features a padded base, a cotton drawstring closure, a fabric-lined interior, and antique brass hardware. Carry the case with the matching shoulder strap. Photographers will appreciate the CF card holder and beautiful vegetable-tanned full-grain leather construction.